Yesterday's preaching by Ps. Christie was very powerful. It was a heartfelt moment as the message striked me and I believe that many were affected. I saw some people who were crying and I can feel their pain. A friend confessed to me that he was also crying as he was touched by it. In some instances, I was hit and I told to myself, "Oh, that was me. I was doing that bad thing!". The main topic yesterday was forgiveness, truly, you cannot receive full blessings if you can't give it to those who have hurt you. We were forgiven by the Lord and covered by the holy blood of Jesus, to unlock the blessings, why don't we give the same sincere forgiveness to others. This has been mentioned in Colossians 3:13 - 'Bear with each other and forgive whatever grievances you may have against one another. 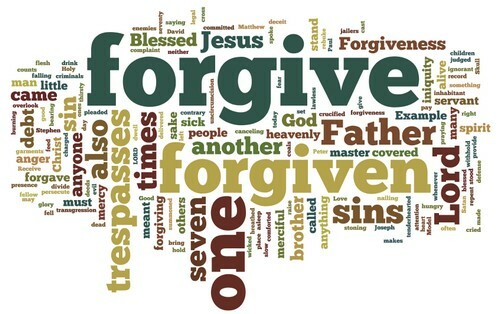 Forgive as the Lord forgave you'. This will result to narrow down the anger, to ease the pain and to move forward. I hope I could forgive myself first, with the all the things that I said and done so I can forgive others with all my heart. Forgiveness should start in our self first, have a peace of mind and heart. I hope God will give me the wisdom and grace to do. Thank you for your Post Carlo.. God Bless you!